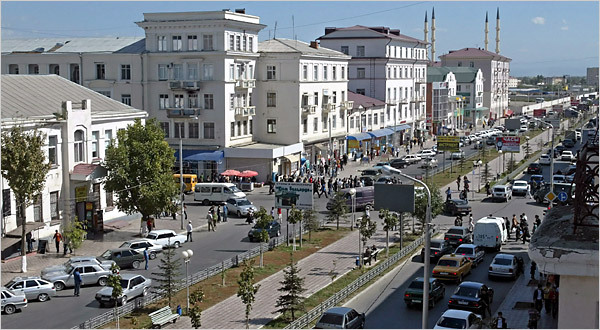 The New York Times ran an interesting piece on Grozny in Chechnya. Here an amazing effort has been made to rebuild the war-scarred city that even two years ago had seemed “beyond saving and repair.” Russia was said by analysts to be in an unwinnable war in Chechnya, but the country is now under the firm control of Ramzan Kadyrov. Ramzan is the son of Achmad, at one time, the rebel mufti of Chechnya and later, it’s president. Despite a chilling reputation for human rights violations, the general opinion is that Ramzan is the only person who can keep the large number of armed former rebels under control. “I compare how we used to live, and it is like we are in a fairy tale now,” said Zulika Aliyeva, 46, whose home was destroyed when Russia sacked Grozny in 1999 and 2000 and who spent years squatting in a ruined building. The building she moved to recently has been partly repaired. Alexei Malashenko, an analyst at the Carnegie Moscow Center who studies Chechnya and recently visited the republic again, said the pace of change was astounding. “I couldn’t believe I was in Grozny,” he said. 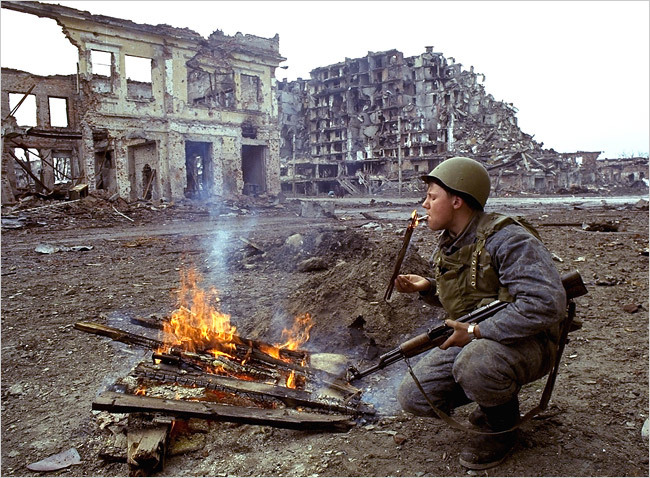 It was the Russian forces which flattened Grozny in 1999 and 2000. Russia’s defeat of the heart of the rebellion in Chechnya appears to flow, in the simplest sense, from a two-stage formula: extraordinary violence, followed by extraordinary investment. Thanks to Peter Davis who sent me the NYT article.